As my earlier entry, I'm so happy and proud to have this awesome product at Fabulous Motherhood now. 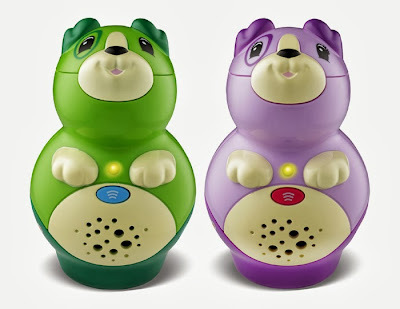 Before more entries about the products and special promo *wootwoot*, let me just brief a little bit about Leap Frog Reading System to have better understanding about this system. It just a copy paste entry, as I just to clear up the category they have, detail review on each product, will be up again soon. InsyaAllah.. Under Leap Frog products, there is one category called as Reading System. 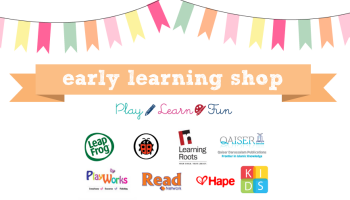 There are 2 main products which actually device, use to help toddlers and kids on early reading and learning. They are tag junior and tag . Each device works with comprehensive system which build to suit age of the kids. Honestly said, I was so happy to finally decide to use these devices. Hopefully this will really help Adam and Ryan on their learning and reading progress in future. The first device is .. Specialty of this device because of their design. The bulky size and easy to grip design which suits with the toddler palm size as children are still developing their fine motor skills. As we know, at this age, toddler are not yet ready to hold pen shape. Plus the books which will be used with the tag junior/leap reader junior are not from paper type, it made from hard cover type paper which not easily tear-off. A love of books starts long before children can read, and its benefits can last a lifetime. 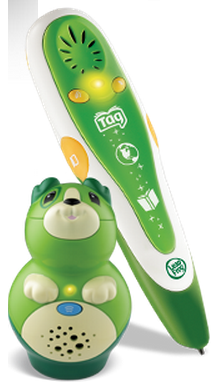 Using the same touch technology as the LeapReader™ Reading System, the LeapReader™ Junior book pal is designed to encourage toddlers' natural desire to explore. Parents can download audio for up to five books (sold separately) for the book pal, and each LeapReader Junior board book introduces reading basics or different preschool skills—such as letters, numbers and early vocabulary—through 24 playful activities and more than 150 audio responses. Open-ended questions and fun sound effects encourage children to take charge, as they touch any part of any page to bring words, pictures or activities to life. And the book pal can learn a child’s name to make getting ready to read a personal experience!After their child has played, parents can connect the book pal to the free, online LeapFrog® Learning Path to see their child’s progress and get printable activities to expand the learning fun! What comes in the box: LeapReader Junior book pal, sampler board book (audio pre-loaded on book pal); USB cable; user guide. Requires 2 AAA batteries (not included). Internet connection is required to download additional book audio. The full LeapReader Learn to Read System library features more than 80 interactive books, puzzles, maps and more (sold separately). Most of the books used with very limited words and basically as introduction for early learners before ready to next stage learning. As your kids turn age 4 years old and above, they will start on Early Reading Series category. At this stage, the device use is Tag. As the device can be used up until 8 years old, the categories of books can be used with this device also with lot of choices. Adam really loves his "pen" now. 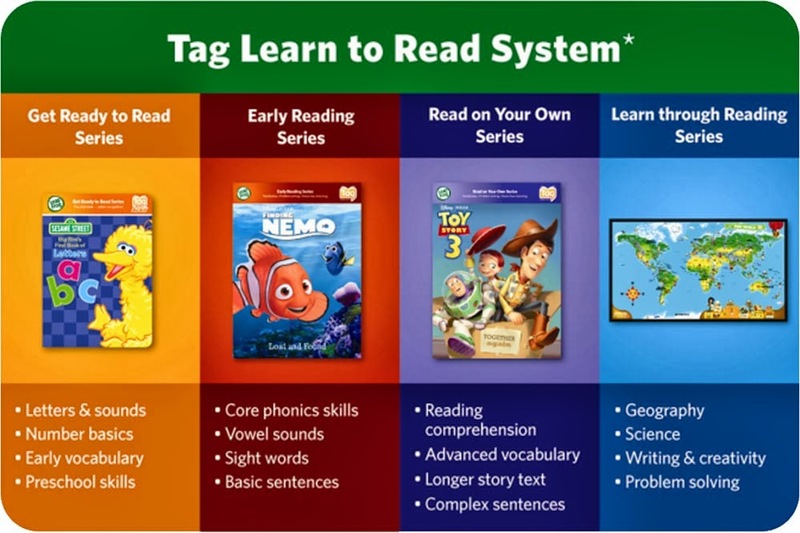 Will stock up more flashcards to help on his phonics and words blending, plus cant wait to have map for him too..
Have a look on how to use the tag..
Just to make clear here, the above tag has been stopped their production recently as the have upgraded the system to Leap reader. 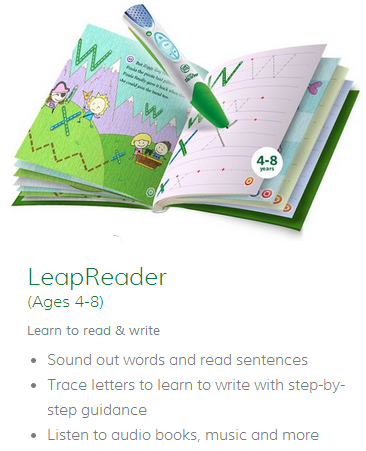 The extra about Leap Reader, kids also can use it to write as well! Cool aight! Btw, you got notthing to worry as all the tag books and stuffs above can be used with this Leap Reader too. LeapReader™ is the premiere learn-to-read-and-write system that helps your child learn to read and write by sounding out words and guiding letter strokes interactively. * Includes a LeapReader™ Reading and Writing System, an activity sampler book, one Learning Paper writing sheet plus free downloads of one Audio Book Bundle, one Music Album and one Trivia Fun pack. LeapReader engages kids in imaginative stories with lively character voices while building vocabulary skills and growing reading comprehension skills. Interactive handwriting guidance helps children learn to write stroke-by-stroke on mess-free, no ink LeapFrog® Learning Paper. * Plus LeapReader helps develop listening comprehension skills on-the-go with a growing library of 100+ audio books and more featuring classic and popular children's books that encourage a love of reading. Sampler book included. All other books, games, audio books and handwriting workbooks are sold separately. LeapReader™ helps your child learn to read and write with confidence by teaching reading comprehension, vocabulary and listening skills. There is pro and cons about this system, as Leap Frog regularly upgrade their system and versions. Sometimes the product arrive here lil bit late and some of the books only sell at certain countries. So if you go to any shop which also sell Leap Frog Reading System, don't be shocked if the appearance or packaging lil bit different. Yet, the functions all still remain the same. Stay tuned all, we gonna have awesome introduction sale real soon at Fabulous Motherhood..
How much is the cost for the junior nadia? Retail price for tag junior is RM 135 with 1 sample book inside. InsyaAllah, we will have awesome discount to be offered from my shop. Stay tuned, we all tgh finalize few things before release the promo..